Initial concept, blockout, and sculpt wip for my DnD character’s blunderbuss weapon. Substance materials created for training simulation project. Used on airfield asphalt surfaces. Final textures for the halberd weapon. A halberd for the weapon pack I am working on. Currently in the texturing process now then on to engine integration. Texturign the blade and pommel. 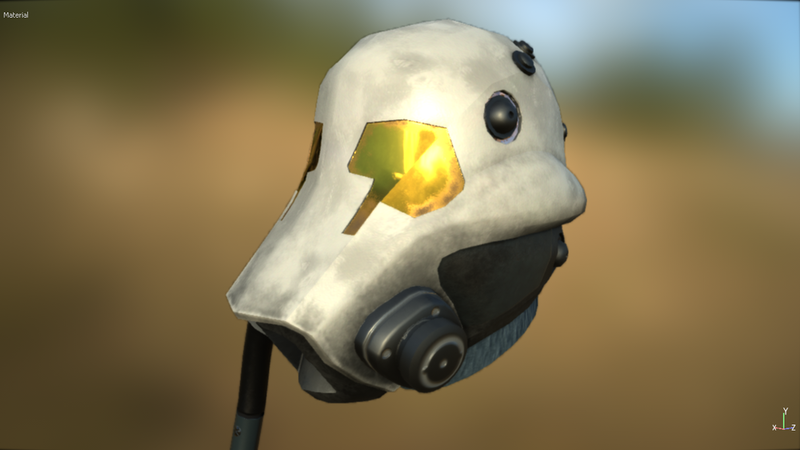 This is a helmet I made a while back for learning Substance Painter. The next step is to export to either the Sketchfab or Marmoset viewer. Here is the work in progress of the sword I am adding to the asset store weapon pack. I still need to add glowing effects to the runes and re-work the leather grip. Once that part is taken care of I will start the heavy weapon. Updated Unity render with glowing runes. 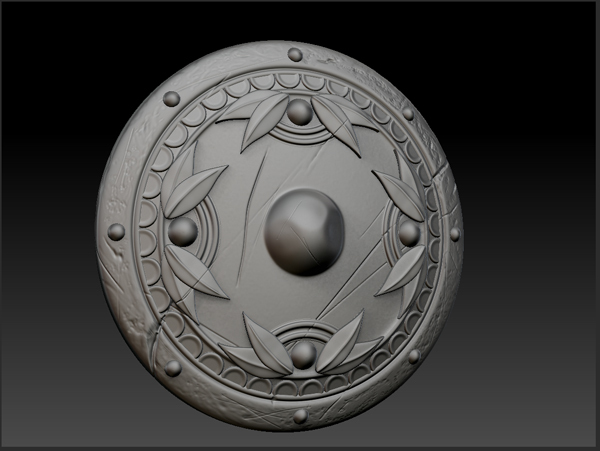 Second pass updating the texture and materials in Substance Painter. First pass on the sword textures in Unity. Current progress on my Tie Fighter model. There is still additional mechanical details to add surprisingly. It's amazing how much detail I never noticed until having to make this thing. Once all the details are added I'll begin the low poly model and baking process. Rear view of command pod. 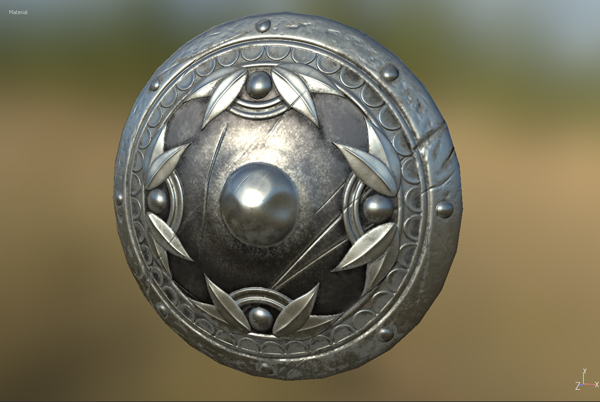 This is a shield in a weapon pack I will submit to the Unity Asset Store. This is the Gnome miner from the War Wench project. I wanted to give more personality on this one by experimenting with expressions. I am leaving her as is for now but will more than likely add more lighting and a color pass. Added background and final forms. Working away on the Petrol-Blood entry I started a while back. Driver seat highpoly model for baking.